Since so many casinos offer Free Spins on Book of Dead and the social media are buzzing with big wins. We only thought it was fair to write a review about this exciting Egyptian slot by Play’n Go! It’s true that Book of Dead is a 2016 release, and yet it’s still one of the most played game in online casinos today! Perhaps this has much to do with the unlimited Free Spins you can re-trigger in the bonus feature. But undoubtedly, the 250,000 max coin win this game offer attract many players too. What’s more is that this slot also has flexible paylines, and bet levels. Which means it’s a go-to game for many players of all levels who are looking for flexibility when they wager. So, let’s rediscover this slot together! Plus, if you’ve not played it before you’ll undoubtedly appreciate all the extra information below! 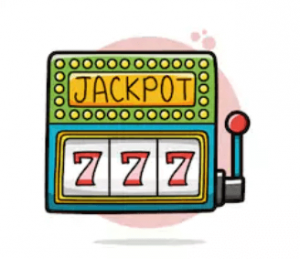 Bonuses & features: Free Spins, Random Expanding symbols, and gamble your winnings mini-game. Highest-paying symbol: 5 explorers on an active paylines reward you with 5,000 coins. Suitable for: Everyday pleasure seekers, Daredevils and High Rollers. A great thing about Book of Dead is that it’s an easy game to understand! In fact, this slot has two main features and a gamble mini-game you can activate after any win in the base game. To activate the Free Spins bonus, it’s easy! Indeed, as you play, you’ll only need to collect 3 identical Golden Book symbols on any reels. After getting the required symbols, you’ll automatically play 10 free rounds. But, before the Free Spins kick off, you’ll notice a short animation where all the game symbols are displayed in a popup. After a few seconds, the machine will select a symbol at random either (a high-paying symbol or a low-paying symbol). And this symbol will always expand when it lands on the reels to increase your winning combinations. So, when you think of it, because of this feature, it’s quite easy to get 5 full stacks of identical symbol and trigger a big win! 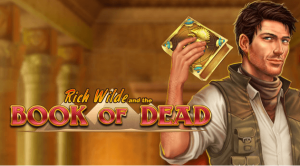 All and all, one of the key reasons why Book of Dead is still very popular today is that the Free Spins bonus is easy to trigger and re-trigger. Granted that we don’t have official statistics on the hit frequency of this game since Play’n go rarely release this information. However, from our experience, Book of Dead is a serious money making slot! Plus, it offers flexible paylines, so it’s a great game to play at the end of a casino session if you’re looking for a much-needed bankroll boost! The most exciting Egyptian adventure game is looking for its next big winner at any casinos listed on this site. Try it now it’s a cheap slot to have fun on. Plus, the winning potentials are huge! Good luck!